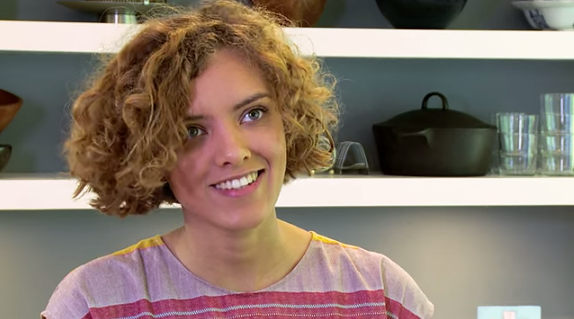 Crumb author and GBBO star Ruby Tandoh takes The Happy Foodie on a guided tour of her personal cookbook collection. 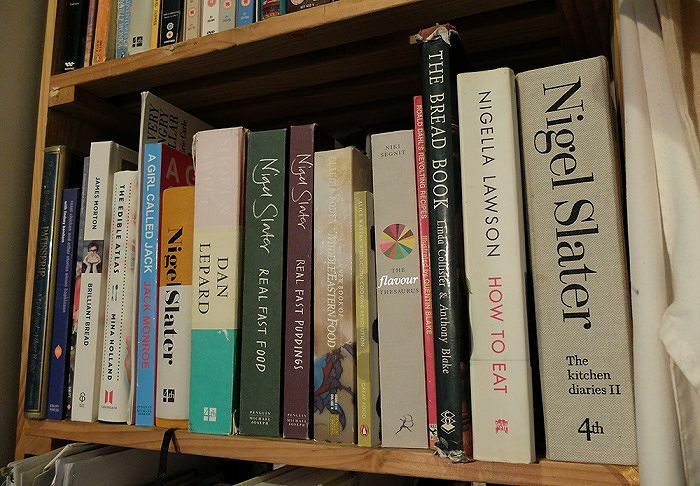 Which famous food authors lie on her treasured bookshelf? What is her go-to baking tome? Which book does she describe as "tellingly smeared, spattered and stained with traces of the good dinners it inspired?" Find out below. 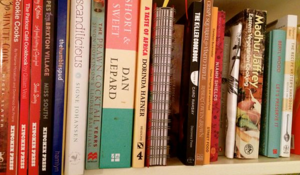 I’ve always been a terrible cookbook reader – I’m quick to buy books and peruse the photos, but reluctant to really delve into the meat of the text or actually make any of the recipes. Perhaps it’s the result of being one of the internet generation, raised on a diet of listicles and current affairs distilled into an essence of 140 characters. Maybe I’m just lazy. Either way – it means all the more when I find a cookbook that I read, enjoy and cook from. For me, it’s not enough for a cookbook just to comprise a collection of recipes: I like to see the food in context, hear about the writer’s own relationship with a meal and understand just why a dish works. I’ve not yet come across a food writer who does this more vibrantly and candidly than Nigel Slater. I’d find it difficult to pick out any one of his books as my favourite, with the pages of Real Fast Food, Kitchen Diaries and Eat all tellingly smeared, spattered and stained with traces of the good dinners they inspired. Slater espouses a refreshingly straightforward approach – just a man, his garden and his food. Another favourite is Short and Sweet by Dan Lepard. When I was first learning to bake, I reached a stage – somewhere in between the great macaron craze of 2010 and seeing the ‘Great British Bake Off’ for the first time – when I wondered whether baking was too fussy, too pretty for me. Dan Lepard was the antidote to all that prissiness, and one of the main reasons I carried on baking. 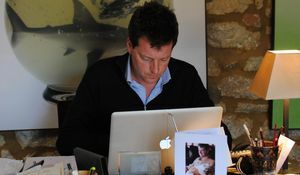 His recipes are packed with flavour, his book understated, honest and thoughtful. I’d finally found a baking tome that delivered on substance as well as on style. Some of the most useful cookbooks I own are pretty outdated – one by Linda Collister tellingly titled The Bread Book dates from 1993 but looks as though it’s jumped straight from the seventies, in all its glorious shades of brown, taupe and beige. It’s my most-used book of all. Hundreds of breads are grouped into chapters from Quick Breads and Flat Breads to Fried Doughs (my favourite) and Festive Breads. It’s an amazingly thorough work, and with not a trace of condescension or school-ma’am-ish sternness. In fact, it’s laced with a humour and humanity that’s altogether rare in food books: one photo shows a tiny boy in front of a smorgasbord of breads – mug in one hand, head in the other – and is captioned ‘bemused lad at afternoon tea’. My most recent find is Niki Segnit’s incredible The Flavour Thesaurus. By explaining flavour combinations, why they work and how they’re best put to use, Segnit cleared the path for me to break free of the hackneyed old classics and develop interesting pairings of my own. It’s quickly become my cooking bible: the first thing I consult when I’m unsure of myself; the last word on any subject. 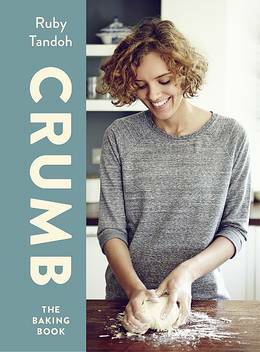 Ruby Tandoh's Crumb is about flavour, first and foremost – a celebration of the simple joy of baking. 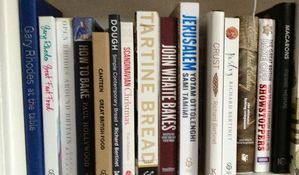 Food historian, writer and Waitrose Kitchen editor, William Sitwell, gives us a grand tour of his incredible collection of cook and food books, and picks out the volumes he simply can't cook without.